Lac Canh Đại Nam Văn Hiến, or Dai Nam Wonderland, is a large complex located around twenty kilometres north of Ho Chi Minh City in the southern part of Vietnam. It is home to a large temple complex, a paintball range, a hotel, a camp site, a huge number of restaurants, a zoo, a water park, and an amusement park. Though open seven days a week, the vast majority of the mechanical rides in the amusement park do not operate on weekdays outside of school term, something we'd failed to realise before visiting. One of the few exceptions was the Spinning Coaster (#1853), which became the sole credit of the day. The park is home to six enormous dark ride style attractions, all of which were open today. Four of these were walkthroughs, and fell into the general category of Haunted House, with atmospheric sounds, moving floors, and some genuinely frightening moments. The other two were boat rides; one featured dinosaurs, and the other assorted scenes from fairy tales. The standard of these rides was absolutely superb, with exceptional theming that would not be out of place in Efteling or one of the Disney parks. 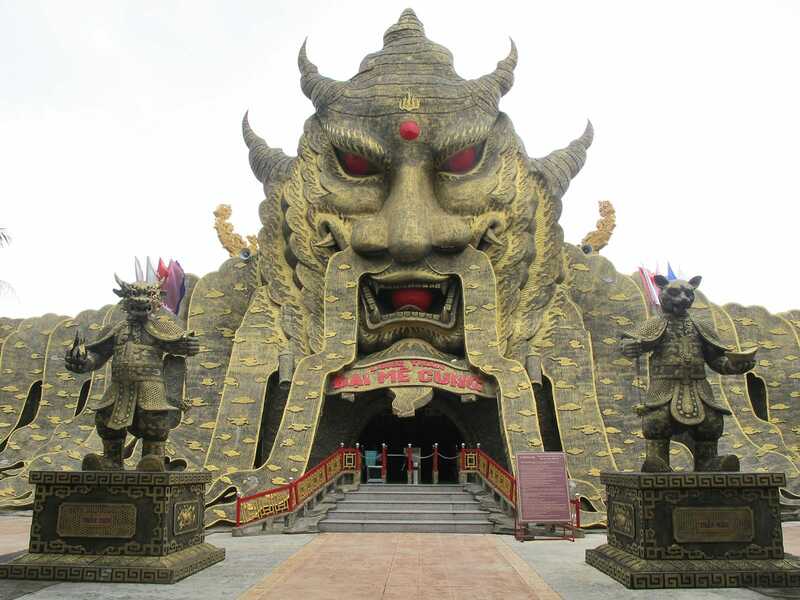 The ride facades were fairly spectacular, too; the Dragon God Great Maze is pictured above. A full photo album can be found over at ThemeParks.ie. We also took a look around the temple complex, apparently the largest in Vietnam. While the various ante-chambers were impressive, the Golden Temple was absolutely stunning. Unfortunately photographs were not permitted, so the reader will need to make their own trip to see for themselves.